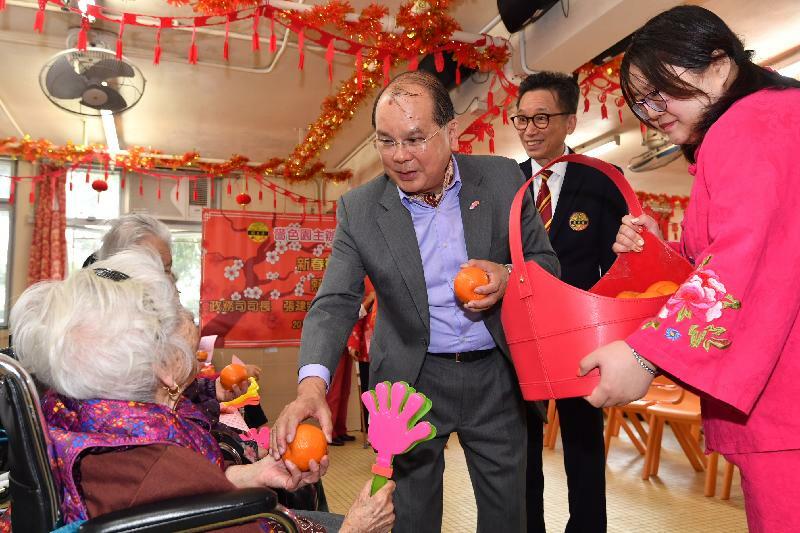 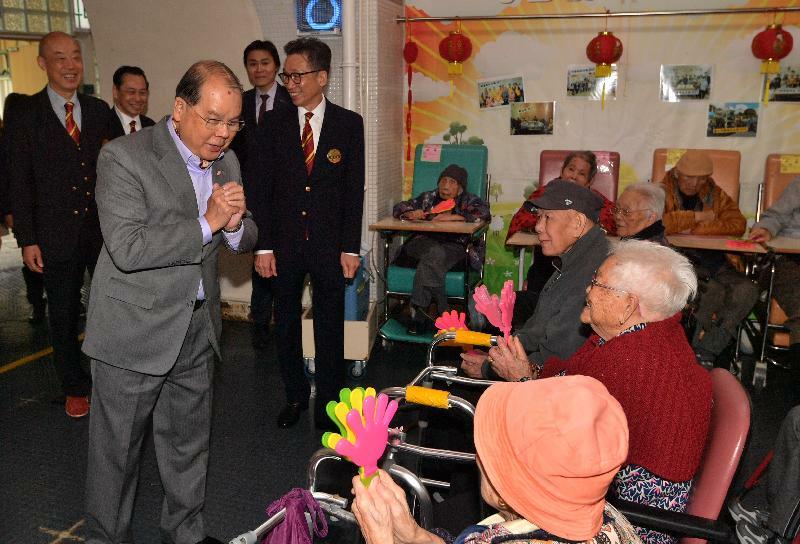 The Chief Secretary for Administration, Mr Matthew Cheung Kin-chung, today (February 5) on the first day of the Lunar New Year visited staff on duty at Lok Ma Chau Boundary Control Point (BCP) and senior residents of an elderly home, sharing with them festive joy and expressing to them sincere blessing. 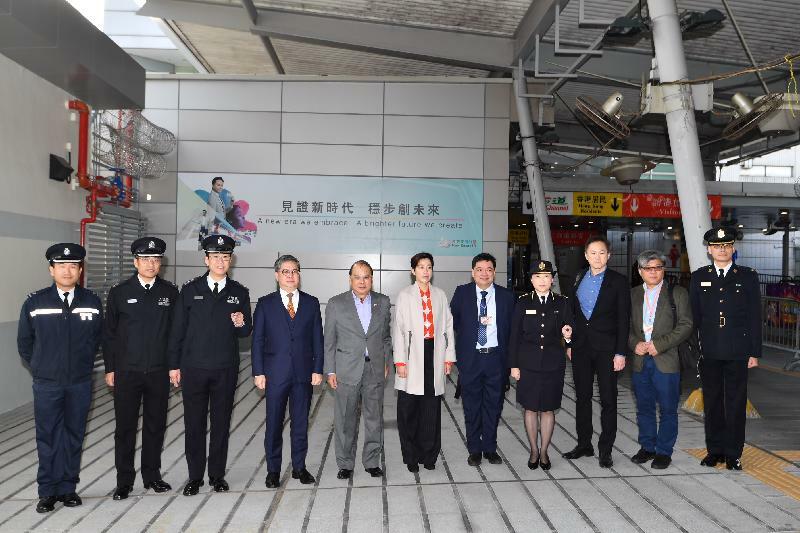 He first visited the arrival hall of the Lok Ma Chau BCP to observe its operation. 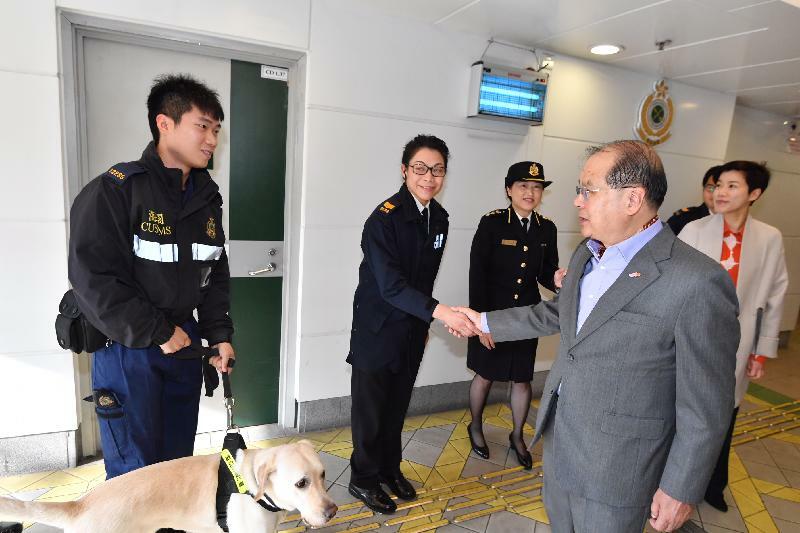 He sent his best regards to officers from the Immigration Department, Hong Kong Police Force, Customs and Excise Department and Department of Health. 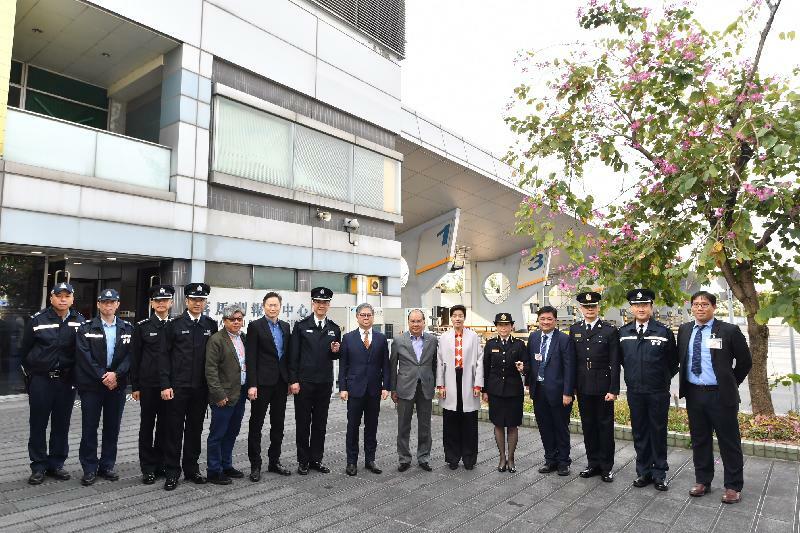 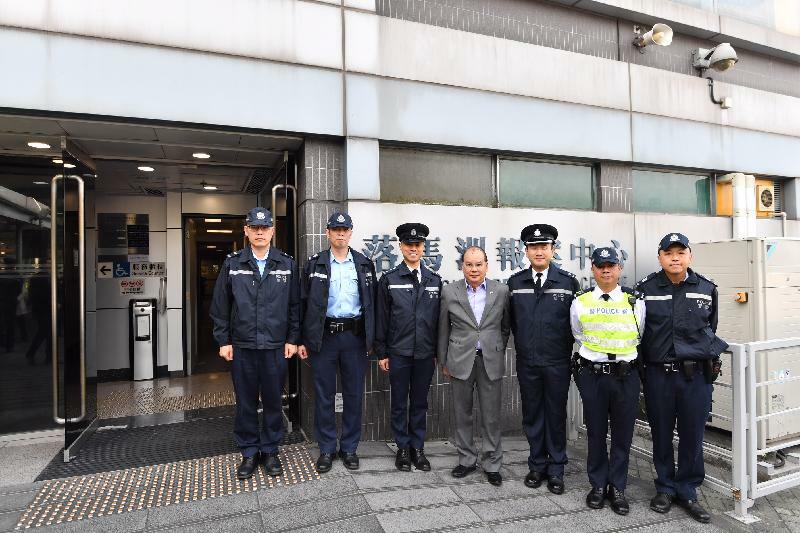 He received updates from them on the overall operational plan at the BCP for passenger clearance, passenger diversion, law and order and epidemic prevention during the Lunar New Year period. 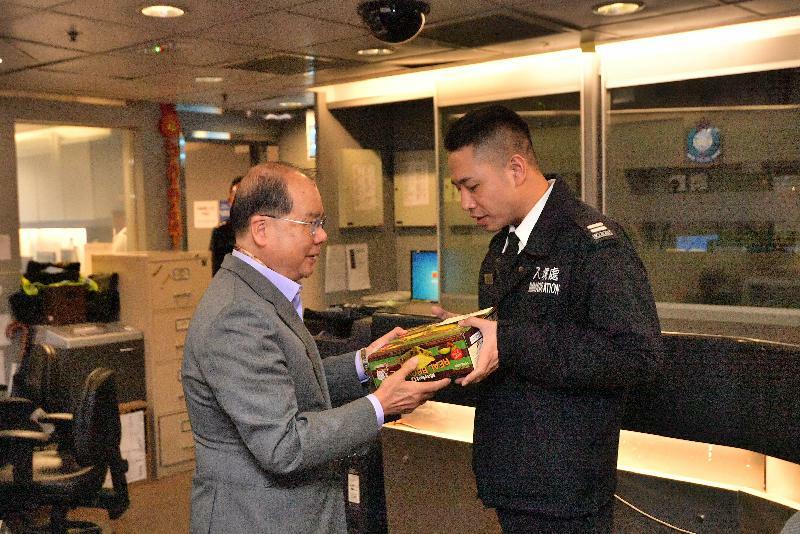 Mr Cheung then proceeded to outbound coach pick-up bays of the BCP. 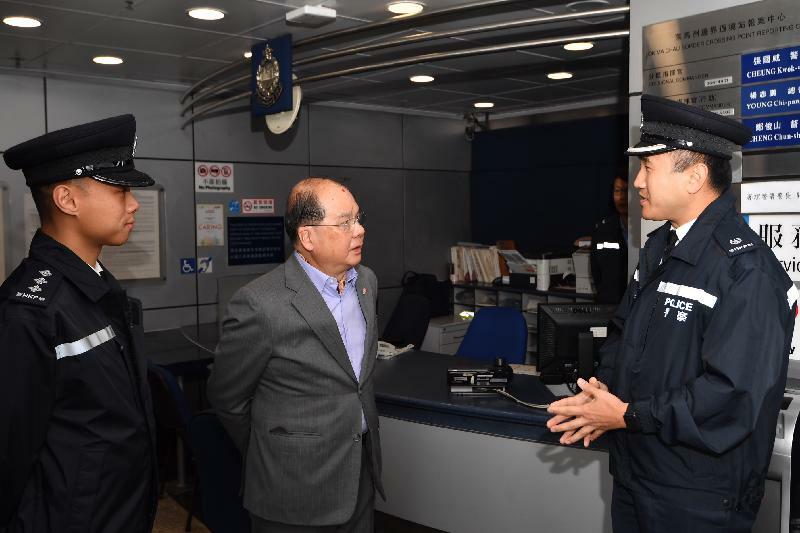 He was briefed by Transport Department officers on the adjustments to the operation and staff deployment made by bus operators to cope with the additional service demand arising from the Lunar New Year holidays. 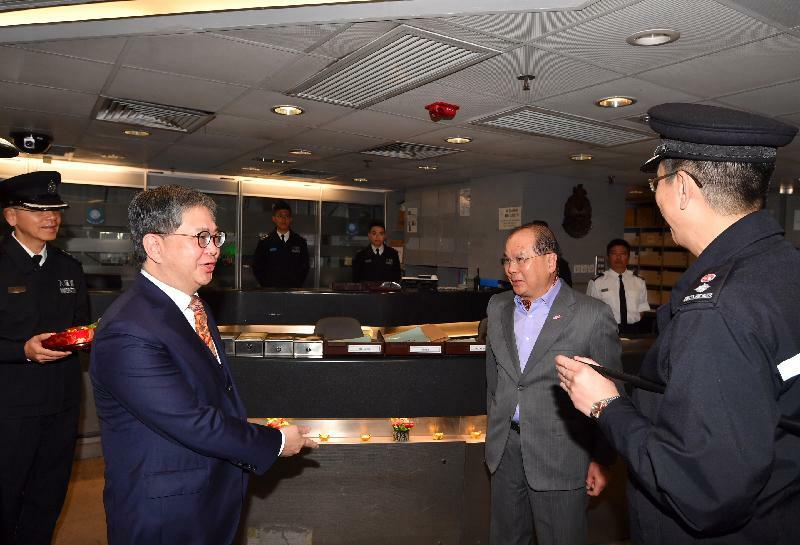 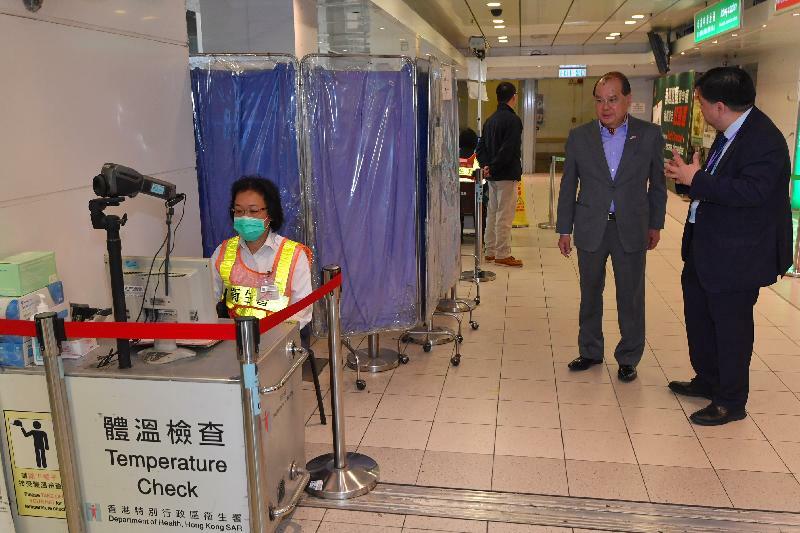 Mr Cheung was pleased to note that relevant Government departments had been working closely to address the heavy passenger flow during the Lunar New Year holidays, and were prepared to implement suitable diversion measures where necessary to ensure the smooth operation of the BCP. 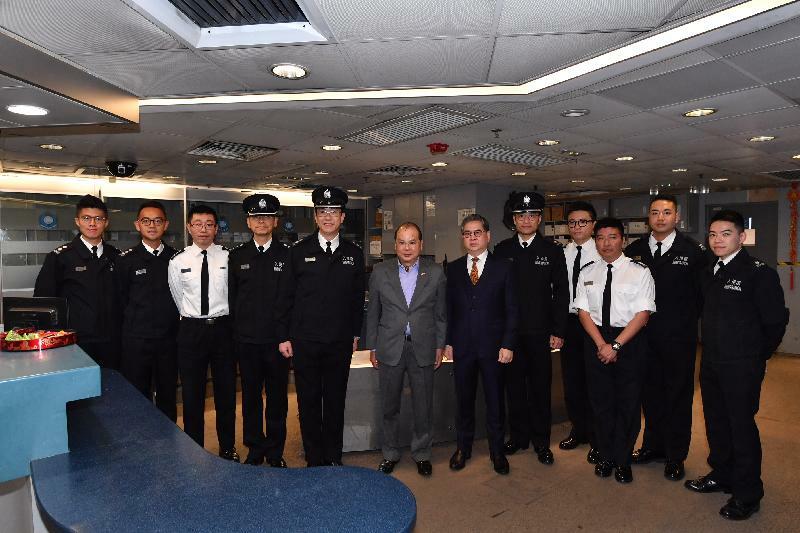 He extended his warmest gratitude to officers at all BCPs for holding fast to their posts and serving the public with excellence. 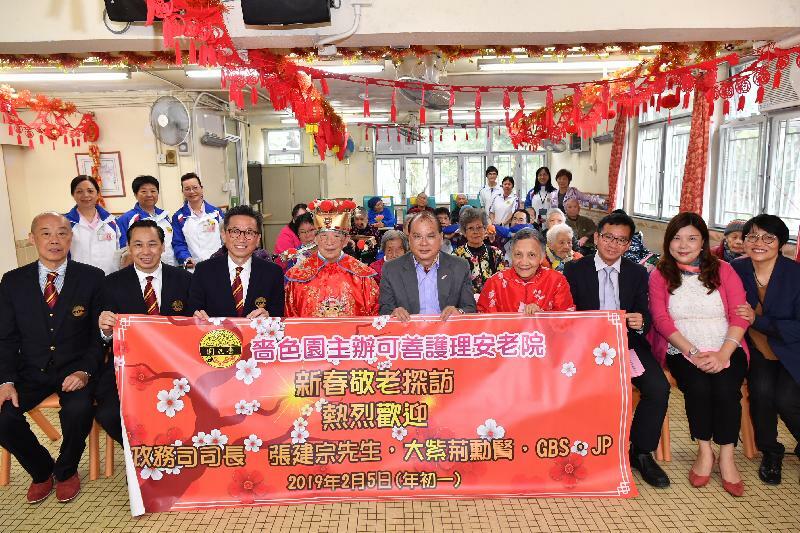 Mr Cheung later visited an elderly home in Fu Shin Estate in Tai Po and conveyed his festive greetings to the senior residents, wishing them good health as well as a joyful and auspicious year ahead. 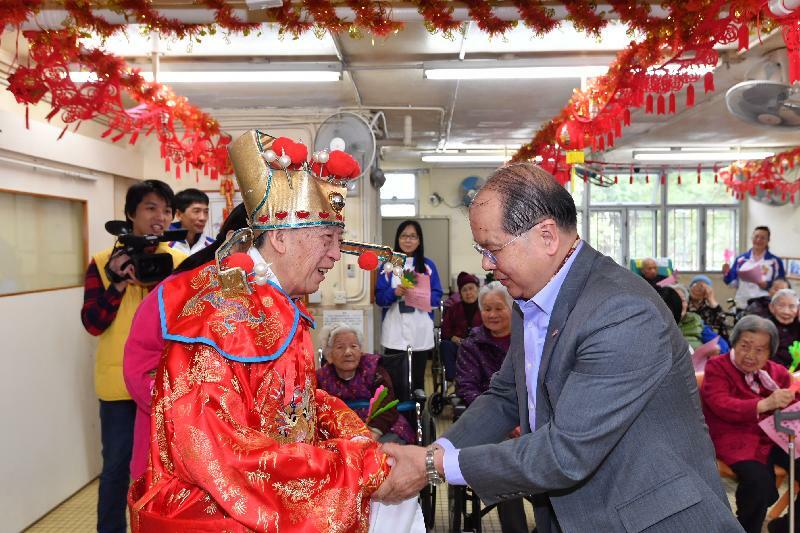 To share the festive joy, he joined the residents including one who reached 100 years old in singing Lunar New Year songs.